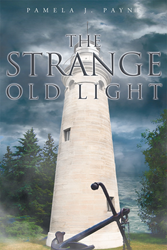 Recent release “The Strange Old Light” from Page Publishing author Pamela Payne is a coming-of-age story with an added paranormal activity twist. Pamela Payne, a wife, mother, former teacher, outdoors enthusiast, gardener, traveler, devoted writer and author, has completed her new book “The Strange Old Light”: a creatively crafted and vividly illustrated journey into a world of ghosts, shipwrecks and discovery. This book follows the main character as he investigates the paranormal activity in an old lighthouse. This adventure takes the reader through a journey of history and the unknown. Published by New York City-based Page Publishing, Pamela Payne’s exciting work will keep the reader on the edge of their seat! Twelve-year-old Josh Reynolds didn’t think he’d be spending his summer vacation going to lighthouses. Then again, he didn’t think he’d become a ghost hunter either. When he and his family left Colorado to visit an uncle in Michigan, whom Josh can barely remember, and explore lighthouses, he is less than thrilled. But when his parents leave him there, Josh’s summer begins to heat up. He meets two new friends, and together, they explore the old lighthouse that is said to be haunted. Join Josh as he discovers he has a somewhat unwelcome “gift,” and he and his friends make other ghostly discoveries as well—discoveries that lead all the way back to the Great Chicago Fire. Readers who wish to experience this captivating work can purchase “The Strange Old Light” at bookstores everywhere, or online at the Apple iTunes store, Amazon, Google Play or Barnes and Noble.